The Harry Potter series spin-off movie, "Fantastic Beasts and Where to Find Them" is back in yet another magical adventure as Newt Scamander (played by Eddie Redmayne) continues his journey, this time roaming the streets of London and Paris to find beasts and monsters as he finishes his book and might also be telling some stories about Grindelwald, the main villain in the upcoming sequel, "Fantastic Beasts: The Crimes of Grindelwald". 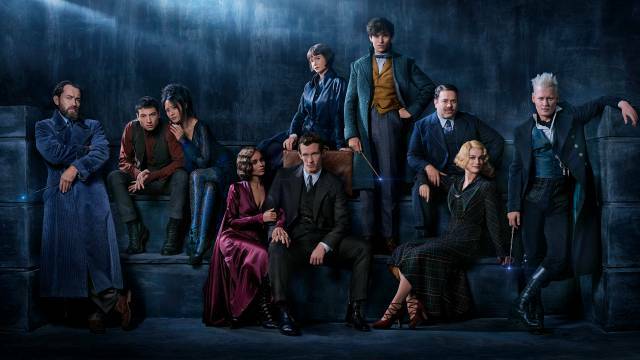 The upcoming movie, "Fantastic Beasts: The Crimes of Grindelwald" will begin where the first installment had left us -- a dark magician named Gellert Grindelwald disguises himself as Agent Graves (played by Colin Farrell) and exposes himself in the final battle between dark magic and the MACUSA members in the subway of New York. The fugitive dark magician Gellert Grindelwald (played by Johnny Depp) got arrested and perhaps will be on trial on the crimes that he committed in the upcoming second installment. - How Gellert Grindelwald's "magical" crimes affect the worldwide magical community? - Will Jacob be back as Newt's sidekick? - What will be the roll of the young Dumbledore in this film? - Why is Hogwarts included in the film? - What other beasts and monsters will Newt get this time? - Will there be a second chance of love for Newt? And some other thoughts that you might think of! Anyway, "Fantastic Beasts: The Crimes of Grindelwald" is scheduled to be shown coming this November, so better start marking those calendars marked because the time until this movie to be shown in movie theaters is coming very near. Below is the international movie trailer for the upcoming "Fantastic Beasts: The Crimes of Grindelwald". Who is excited for this? Enjoy!